Having the right CRM isn't the only thing -- it's everything! As a real estate agent, you face a crowded beach of CRM options. If the future of your business hinges upon the decisions you make today, then it’s important to choose a system built with both your present and future in mind. Keep in mind that a next-generation CRM improves your relationships with your sphere and leads by streamlining communication among all parties in a transaction including your buyers and sellers and, if a deal has financing, the loan officer. This collaboration can catapult your business from good to great. Justifying the expense because it’s hard to determine if it will help your business before trying it. Paralysis as they face so many CRMs to choose from. When choosing a CRM, ask yourself how the tool’s parent company decided on the features it offers. Consider the product’s design and evolution. This reflects how connected the CRM provider is to its users and how invested it is in helping them thrive with the tool. Ultimately, a confident decision can be made when a system and the company behind a CRM clearly demonstrates how it can make your work life easier. Below are five key features agents should look for in their next CRM to determine whether it will, in fact, improve their business. The more efficient you can be at distributing leads and the more you can automate sharing and updates, the more time you’ll have to focus on selling. And with so many parties involved in every transaction, you’ll want a system that allows you to easily collaborate and update all parties with ease. This alone will improve sales. With automation you can confidently grow your contact database while knowing you’ll maintain relationships with your contacts without having to do so manually. A bonus feature to look for: the ability to create automated targeted marketing campaigns. You need a way to easily grow and organize your contact database without having to spend a lot of time doing it. As an agent, you need a system you can use out in the field not just in the office. The system you choose needs to make it easy to add and organize every lead from your mobile device. Your CRM also must be as easy to use on a mobile device as it is on a desktop computer. As an industry expert, it’s surprising how often agents overlook support when considering technology. No matter how tech-savvy you may be, reliable training tools and live customer support can determine whether a CRM simplifies your business, or complicates it. 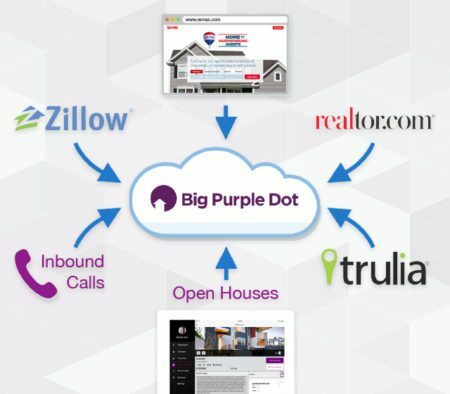 Big Purple Dot offers a CRM built for both agents and lenders. 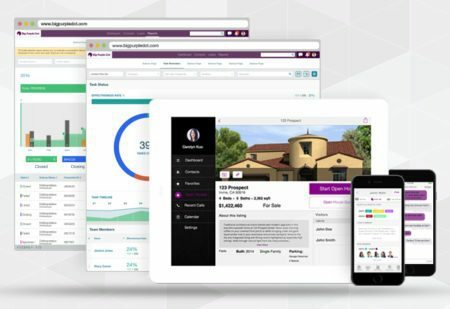 It gives agents and loan officers the ability to collaborate with team members and partners in the system and leverage powerful CRM tools including automated lead capture, instant text and email response messaging, targeted text and email drip campaigns, and seamless API integrations for transaction management. Visit Big Purple Dot to learn more.